Union Mission development manager Natalie Leggette invited area residents and businesses to support families in need this holiday season by donating to Union Mission’s Holiday Hope & Happiness Campaign. Union Mission officially kicked off the 2013 Holiday Hope & Happiness Campaign recently, which unites the Savannah community to help local families and individuals in need during the holiday season. Union Mission revealed creative ways area residents, companies and religious organizations can help homeless and at-risk families during the holidays. 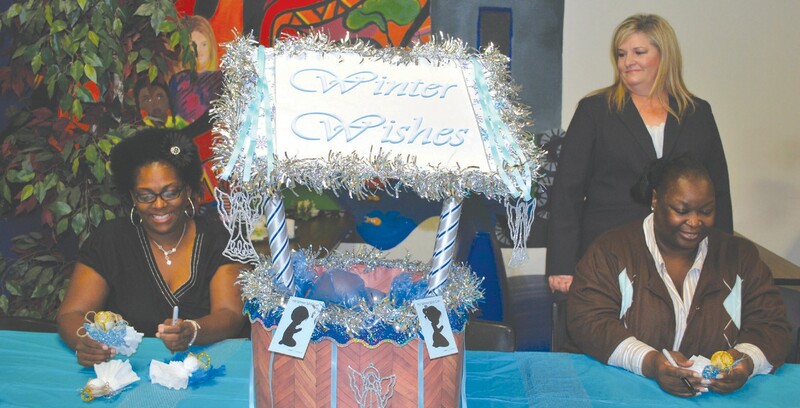 Members of the community had a sneak peek of Union Mission’s wonderful holiday workshop, placing children’s winter wishes on the wings of angels in the hope that their holiday miracles can come true. Whether helping with all the trimmings, providing a hand up for hope or being an Union Mission angel, the community’s support makes a difference, encouraging, inspiring and touching the hearts of those in need. For more information about Union Mission’s Holiday Hope and Happiness campaign, or to sign up to be an Angel this holiday season, please contact Brenda Webber at 912-236-7423.